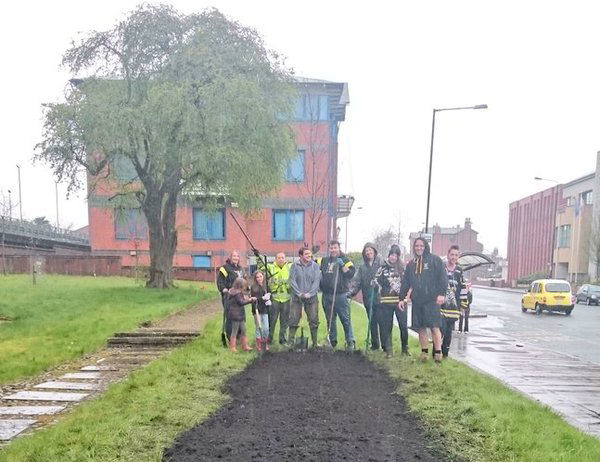 Since early 2016, the Go Goodwins sponsored Manchester Storm have teamed up with Our Altrincham, the voluntary not-for-profit community group, who focuses on environmental improvement & regeneration throughout the town of Altrincham, where the Manchester Storm are currently based. 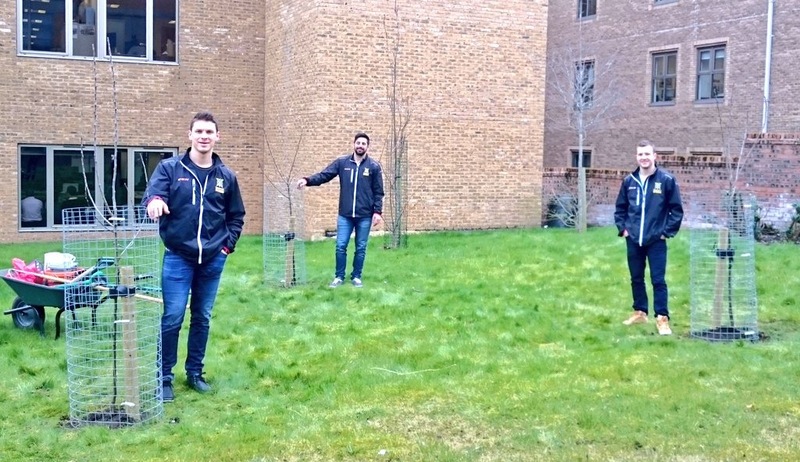 After originally 3 players answered a call for some “strapping lads” to help give a hand in planting some trees, the Storms relationship with Our Altrincham has gone from strength to strength, most recently seeing 10 fans braving the cold and wet weather one Sunday afternoon in the off season to help prepare a new green area of Altrincham for planting. 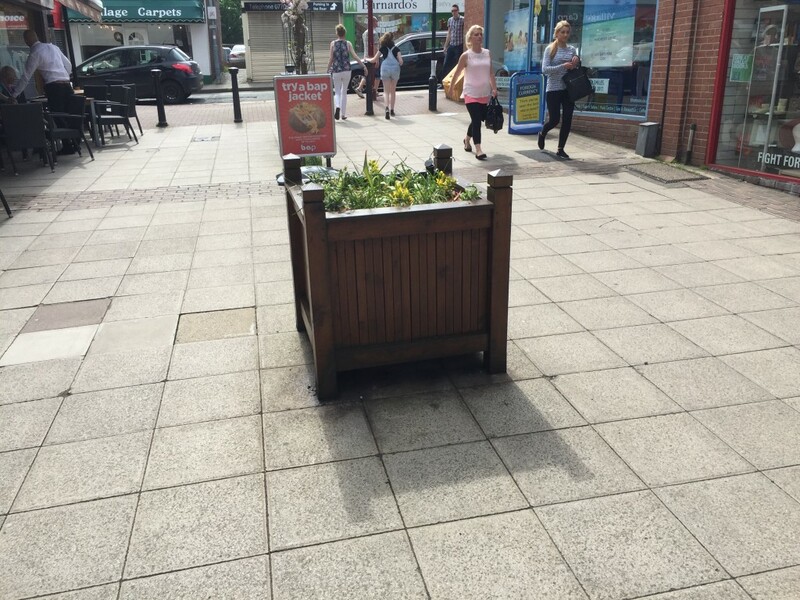 Most recently, the Storm were pleased to announce that they would take over custodianship of a planter located on George Street, Altrincham’s main shopping high street. 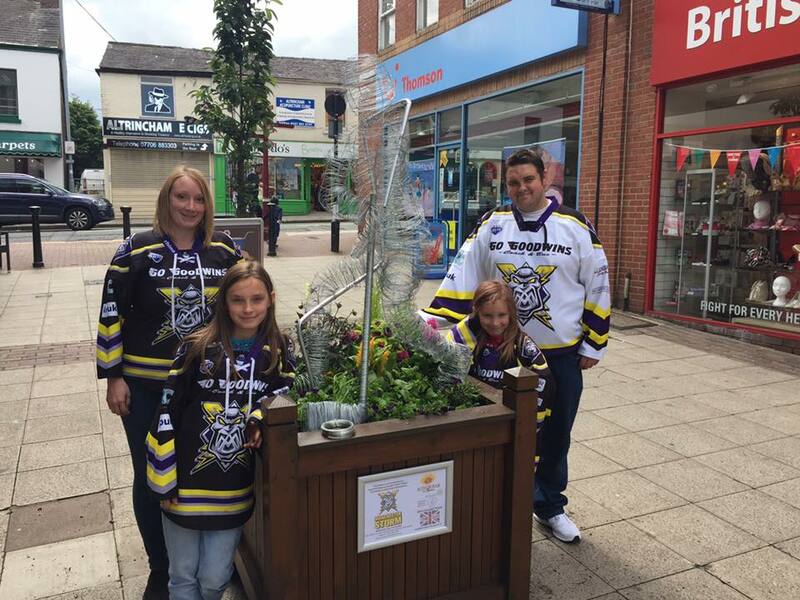 The planter will be decorated twice a year in Storm colours to help promote the team in the local community. 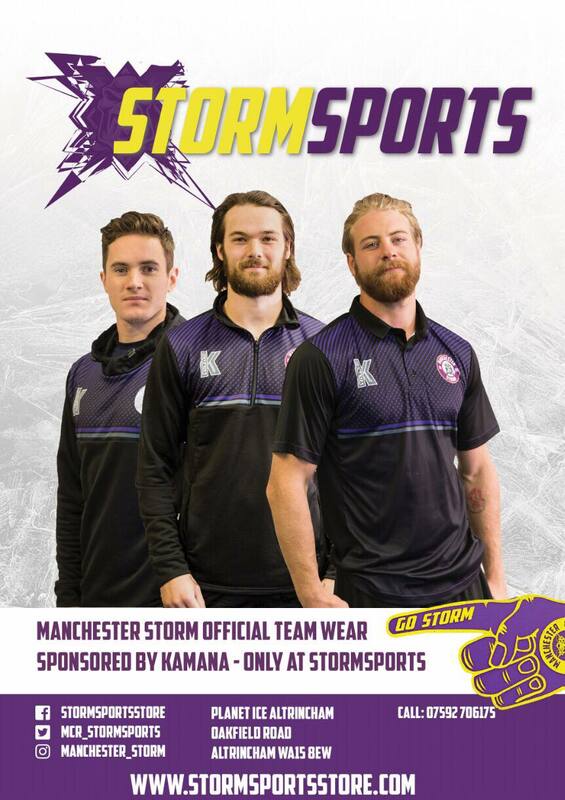 In earl July, Storm revealed their planter decorated in the spring/summer theme of “Best of British”, with the Storm opting to promote a “generic” hockey player, to represent 80 years since Great Britain’s only gold medal at ice hockey, won in 1936. This was achieved thanks to the dedication of the Thorpe family who spent nearly 2 months building the wire hockey player.